I’ve been telling stories with happy endings most of my life. Pre-kindergarten my grandmother would read Madge Bigham’s lovely tale, Sonny Elephant, to me over and over. I loved the story, still do, but I didn’t like the ending. My grandmother told me we could tell the story any way we liked, so each time she read the book, she would stop at the last chapter, and I would make up an ending I liked better. That was the start of my literary career. But hardly the end. My third grade class had a spelling test every Friday. Our teacher, Mrs. Robinson, would let students volunteer to entertain the class by telling a story or jokes or singing while she graded the papers. I always had a story to tell, and the other kids seemed to like them. my path has included a degree in mathematics and English. I stopped just short of a masters in computer science to have my daughter. I have worked as a programmer, a technical writer, a forensic accountant, a seamstress (which paid for my horse’s board while I was in college), an office manager, a horse trainer, riding instructor, and stable owner, and now I have become an author–possibly my greatest adventure yet. Nowadays, I live in Florida with my husband, Leslie, play with my grandson, Finn, gaze at the ocean, walk in the sand, and write. 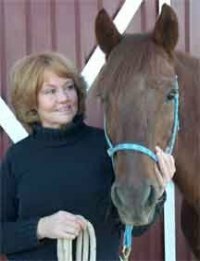 As an author I draw on my experiences as a professional horsewoman, in business, as a dog owner and trainer, and most importantly as a mother and wife. I still always have a story to tell. I consent to having Jane Rohde collect my email address in accordance with her privacy polity .